The situation in Greece gives the Romans a headache. This year was dominated by the trial against Scipio Africanus for misappropriation of state funds (if it was indeed this year, and not the previous year). It was also dominated by Marcus Porcius Cato, who was elected censor and turned out to be one of the most conscientious, but also one of the strictest censors ever. Because of his actions, he would henceforth be known as Cato the Censor (Cato Censorius). In the meantime, the situation in Greece must have given the Romans a headache. Delegations were welcomed in the Senate again, and new Roman delegations sent to Greece. It was quickly becoming a never-ending story, but the Romans had themselves to blame. There was a fierce competition for the office of censor this year. Livius claims that both Scipio Africanus and his brother Lucius Scipio – convicted for embezzlement in 187 BCE – were candidates for the patricians. Africanus had been censor before, in 199 BCE, and since he had held his second consulship in 194 BCE, Livius’ claim sounds quite plausible. But the people elected his enemy Cato and Cato’s long-time patrician ally Lucius Valerius Flaccus. The two had been consuls together in 195 BCE and seem to have been quite popular. Even though all the other candidates were united in their hatred against Cato, the comitia centuriata elected the two outsiders. Livius claims that this was against the wishes of the nobility (adversa nobilitate), but since the wealthier classes dominated the comitia centuriata, Cato and Flaccus must have had plenty of supporters among the aristocracy as well. And it must be said that Cato was quite a phenomenon: both a farmer, a soldier and a politician, a skilled historian, lawyer and orator, known for his iron constitution and soberness, as well as his aversion to wealth and opulence. Cato above all valued traditional Roman morals and principles and detested Greek culture. Apparently this was what the people of Rome wanted. Cato and Flaccus did their job well. Seven senators were removed from the roll. One of them was Lucius Quinctius Flamininus, Titus Flaminius’ brother and the consul of 192 BCE. Lucius Flamininus had killed a man when he was drunk just to please his Carthaginian catamite. This was obviously disgraceful behaviour, and the censors’ action against him was wholly justified. Lucius Scipio was stripped of his public horse (equus publicus), but since he was not removed from the Senate, it is not clear what the censors’ motives were. At some point Lucius Valerius Flaccus himself became the new princeps senatus, replacing Scipio Africanus. Importantly, Cato and Flaccus let many contracts for the construction of cisterns, roads and public buildings. 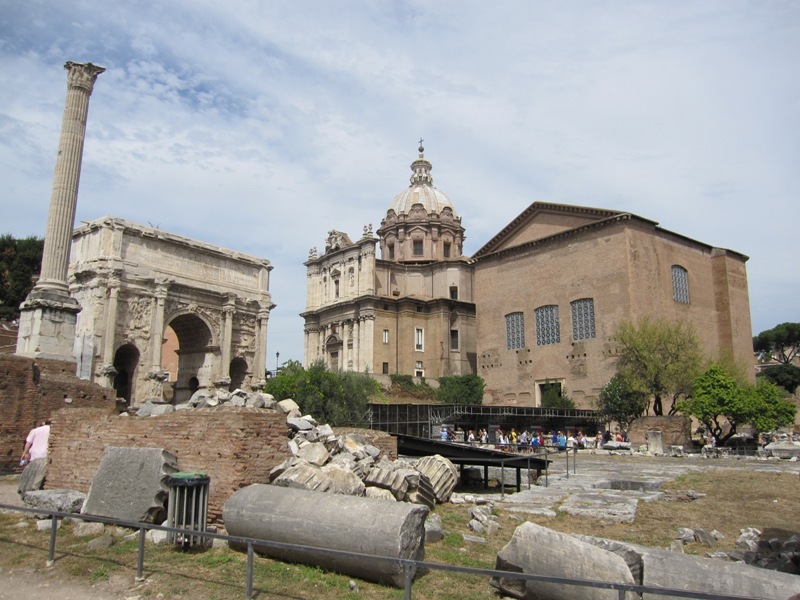 The most famous of these was the Basilica Porcia, a fairly small basilica on the Forum Romanum just west of the Curia Hostilia or Senate House. It stood in this location until it was burned down in the wake of Clodius Pulcher’s cremation, in which the Curia itself was also destroyed. Two new colonies were founded this year: Potentia in Picenum and Pisaurum in what the Romans saw as Gaul (now Pesaro in the Marche). Now that Cato had defeated his political enemy Scipio Africanus in the censorial election, it was time to settle the score once and for good. Like his brother three years previously, the great general was tried for embezzling money that had been taken from or paid by King Antiochos and should have been deposited in the treasury. The prosecutor may have been one Marcus Naevius, but the Petilii – two people’s tribunes – have also been mentioned in the sources. Livius outright admits that he does not know which version is correct and adds that many details of the case are confused and contradictory. In any case, two interesting anecdotes with regard to the trial have survived. In the first, Africanus was asked by the Senate to account for the missing sum. Africanus asked his brother Lucius to fetch the scroll with the financial details of the war against King Antiochos. Then, instead of presenting it to the man who had held him to account, he tore up the scroll before the senators’ eyes and told the man to base his investigation on the pieces. Remains of the Temple of Saturnus, where the treasury was kept. 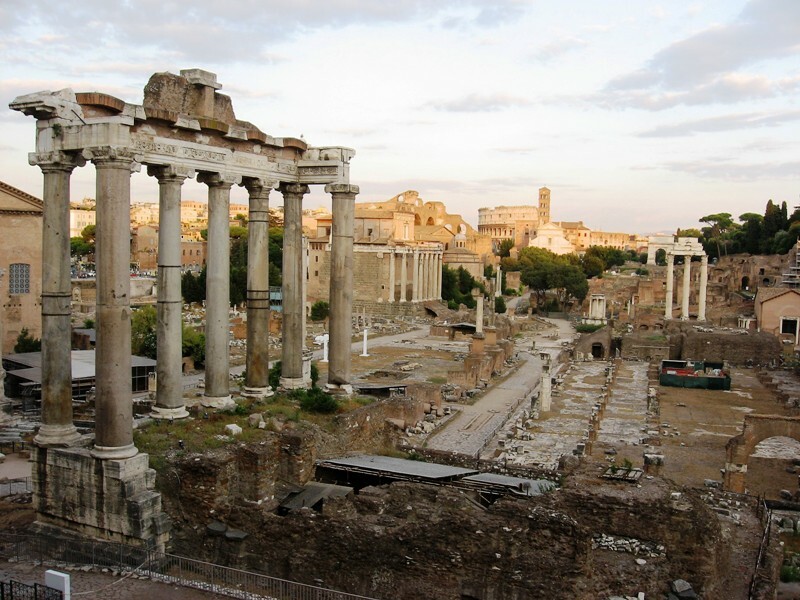 Africanus’ trial was set to take place in the comitium on the Forum Romanum. In another anecdote, it was adjourned to 19 October. Since this was the day on which he had defeated Hannibal at the Battle of Zama (or actually at Naraggara), Scipio climbed the Rostra and told the people that he was going up the Capitoline Hill to make a sacrifice to Jupiter, Juno, Minerva and all the other gods that watched over the Capitoline and the citadel. He then simply walked away and ascended the stairs leading from the Forum below to the hill above, followed by an immense crowd. Even the scribes and bailiffs were said to have followed him, leaving the prosecutors in the company of just a few slaves and a herald. It is difficult to assess how much of this is true. Scipio Africanus may have still been popular with large sections of the people of Rome, but it was also clear that he had powerful enemies who had popular support as well, with Cato being the most important of these. Always more of a general than a politician, Scipio ultimately decided not to await his verdict. He retired to his country estate at Liternum in Campania. There he died, probably in 183 BCE. One of the candidates for the consulship this year was Publius Claudius Pulcher. His good fortune was the fact that his brother Appius was the outgoing consul, who also happened to be presiding over the elections. 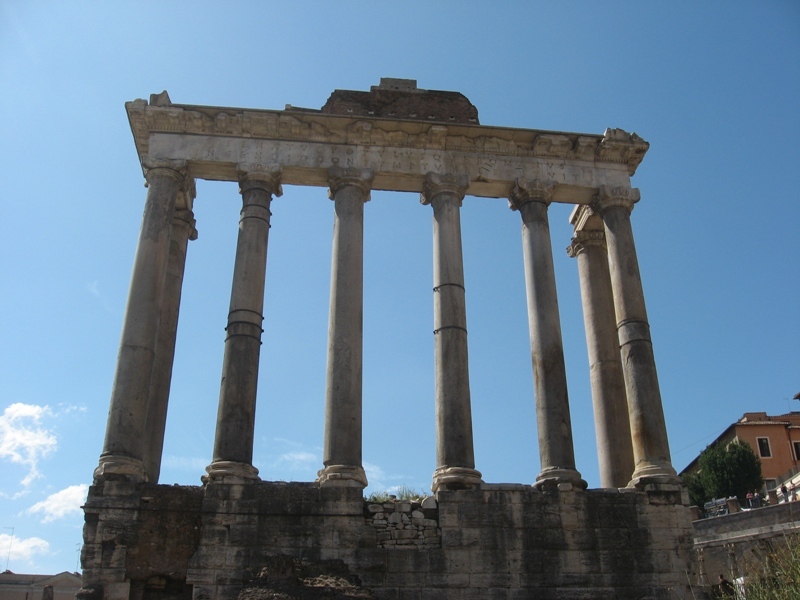 Instead of acting as an impartial magistrate, he openly began canvassing for his brother in the Forum, and Publius was elected against his own expectations. His colleague would be the plebeian Lucius Porcius Licinus. The new consuls first of all had a lot to do at home. Quintus Caecilius Metellus returned from his mission to the Achaean League and complained that he had been refused a plenary League meeting. The Senate quickly decided that Roman envoys had to be allowed under all circumstances to attend and address a plenary League meeting. This basically meant that the Achaeans had to change their constitutional arrangements to make this possible. A Spartan delegation complained once again about the way they had been treated by the League and a new delegation, led by the former consul Appius Claudius Pulcher, was sent to Greece to establish whether King Philippos had evacuated Thessaly and had removed his garrisons from Ainos and Maroneia. Philippos responded by having the population of the latter city massacred by a band of Thracians, while at the same time denying any involvement and blaming the carnage on internal feuds in Maroneia itself. The king also sent his son Demetrios to Rome to defend against the accusations. The young Macedonian prince was now in his early twenties and had spent several years of his life in the Roman capital as a hostage after his father’s defeat at Cynoscephalae in 197 BCE. Philippos expected him to be able to create some goodwill with the Romans. There was a fierce debate in the Senate this year about whether or not the two praetors Gaius Calpurnius Piso and Lucius Quinctius would be allowed to take their armies home from Spain. This was opposed by the new praetors, who obviously wanted to command a crack army of veterans instead of newly levied and very green troops. The new praetors received support from one of the consuls and some of the people’s tribunes, while the other consul and the remaining tribunes supported Calpurnius and Quinctius and their legates. The former tribunes threatened to use their right of veto against a Senate decree ordering the armies to be sent home, while the latter threatened to veto any other decision. In the end, a sort of compromise was reached. Several thousand new recruits were transported to Spain, so that veterans and soldiers who had shown exceptional bravery could return home. When Calpurnius and Quinctius themselves returned to Rome later this year, they were both awarded a triumph unanimously. Hispania Ulterior was at peace for the moment. Hostilities did continue in neighbouring Hispania Citerior, where Aulus Terentius Varro conquered the city of Corbio (perhaps near modern Sangüesa) in the territory of the Suessetani. The inhabitants were subsequently sold as slaves, and that was the end of the unrest in this part of the Roman world. Also this year, there was a rather curious incident with a constitutional dimension when the praetor Gaius Decimius suddenly died. There were many candidates who wanted to be elected as his successor, among them one Quintus Fulvius Flaccus, who had already been elected curule aedile (according to Livius it was for the next year). He turned out to be a clear favourite to succeed the deceased praetor. This was hardly surprising, as he was from a distinguished family and his father had held the consulship four times. Some people’s tribunes argued that this amounted to the simultaneous holding of two curule offices, which was against the law. Others claimed that the Roman people should be allowed to elect any candidate it wanted. By order of the Senate, the consul Lucius Porcius Licinus tactfully asked the candidate to respect the law, but Flaccus – sensing a victory – was clearly not prepared to give in. He promised to resign as an aedile if he were elected, but this was not good enough for the consul, who decided to dissolve the popular assembly and consult the Senate again. Then a new assembly was called and now the consul simply refused to accept Flaccus as a candidate. This led to a heated exchange of arguments, both between the consul and the tribunes that supported Flaccus and between the tribunes themselves. In the end, the consul convened the Senate again and a simple solution was chosen: the elections were cancelled, and one of the five remaining praetors would serve as praetor urbanus and praetor peregrinus simultaneously. This decision did not in any way harm Flaccus’ political career: he became a war hero who served as consul in 179 BCE and as censor five years later. Appius Claudius’ delegation had by now arrived in Greece to check whether King Philippos had evacuated Thessaly and – when they learned about it – to harangue the king about the massacre at Maroneia. 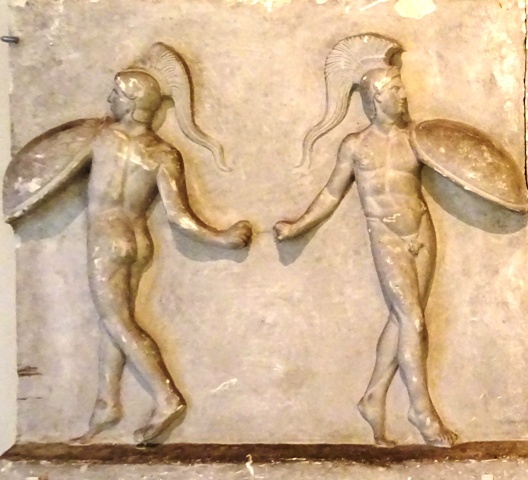 The envoys then proceeded to Kleitor in the Peloponnesos, where a plenary session of the Achaean League was scheduled to take place. Appius Claudius was fierce in his criticism of the Achaeans for their treatment of the Spartans, citing the massacre at Kompasion in 188 BCE as well as the abolition of Sparta’s ancient constitution. The Achaean position was, however, fervently defended by Lykortas, the historian Polybius’ father. 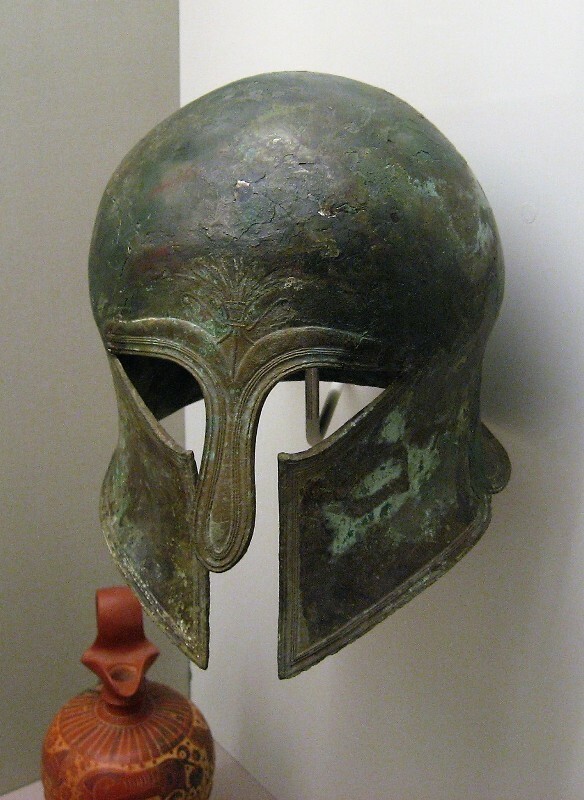 He not only defended the Achaean League’s actions against Sparta, but he also made it clear that he knew perfectly well that in reality, Greek freedom was not a fundamental right, but a Roman favour. And this was exactly the reason why Appius was not at all impressed by Lykortas’ words. Based on a fragment of Polybius’ work, we may conclude that the Roman delegation subsequently sailed to Crete. We do not know the background or the precise nature of their activities, but it is possible that the Roman intervention was requested by Rhodos. This island was a staunch ally of Rome and had aided the Romans in the naval war against Antiochos by providing warships and experienced sailors for the Roman fleet. As a trading nation, Rhodos suffered badly from attacks by Cretan pirates on its merchant ships and this may have been the reason to request Roman help. Crete seems to have been in a state of permanent war and anarchy at this time, and Polybius mentions a violent conflict between the cities of Gortys and Knossos. As soon as the Romans had solved one problem in the Greek world, another seemed to pop up. It was much like the Lernaean Hydra. It was probably in this year – or early in the next year – that Messene decided to secede from the Achaean League, prompting a harsh response by the League, Philopoimen and Lykortas. Rome was stuck in the bog that was called Greece, whether she liked it or not. Polybius, The Histories, Book 22.11-22.15 and Book 23.5-23.6. See Livius 39.52. It is not clear whether this happened after Scipio had died, after he had gone into exile or while he was still active on the political scene. If it was the latter, then that would mean that Scipio was basically stripped of his title, which would have been unprecedented. That is why Livius doesn’t buy it.